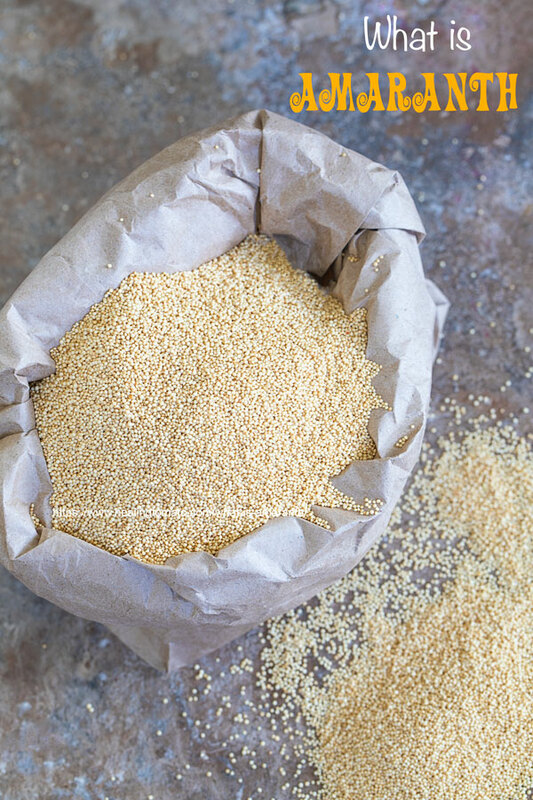 What is Amaranth Grain and how do you cook it? 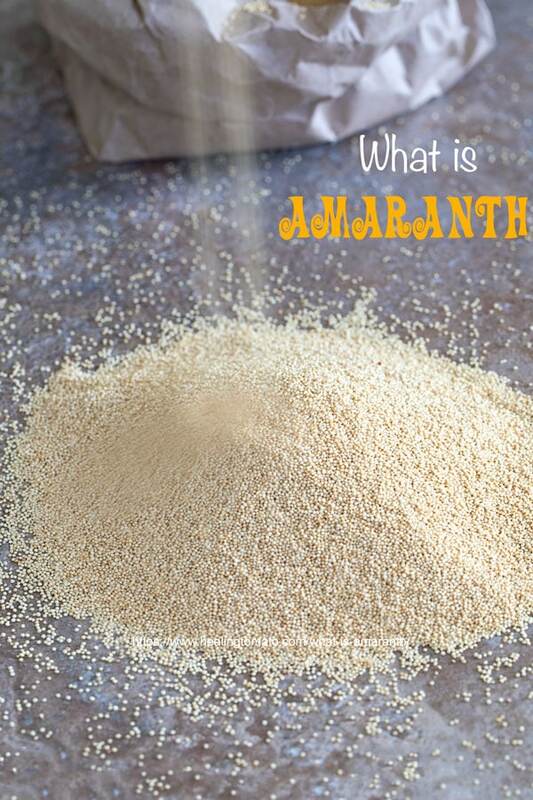 Amaranth is part of the ancient grains and has been harvested for over 8000 years. For Vegans, its one of the best protein sources. Have you known things about a food that turned out to be completely wrong? For me, its the Amaranth grain. 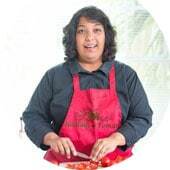 I always thought that it was Indian in origin and confined to Indian cooking. 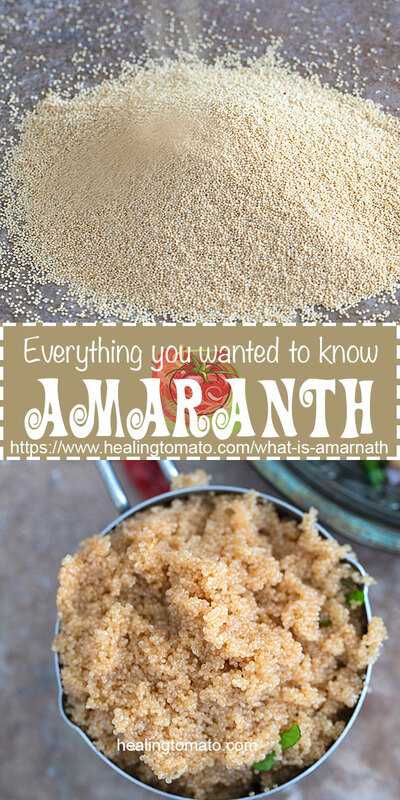 I happen to be researching ancient grains when I saw the truth about Amaranth. It completely floored me and I felt that I need to research it some more. First thing that threw me off is the name. The first part of name, “Amar” translates to “immortal” in Hindi. So, you can see why I associated it with Indian cuisine. 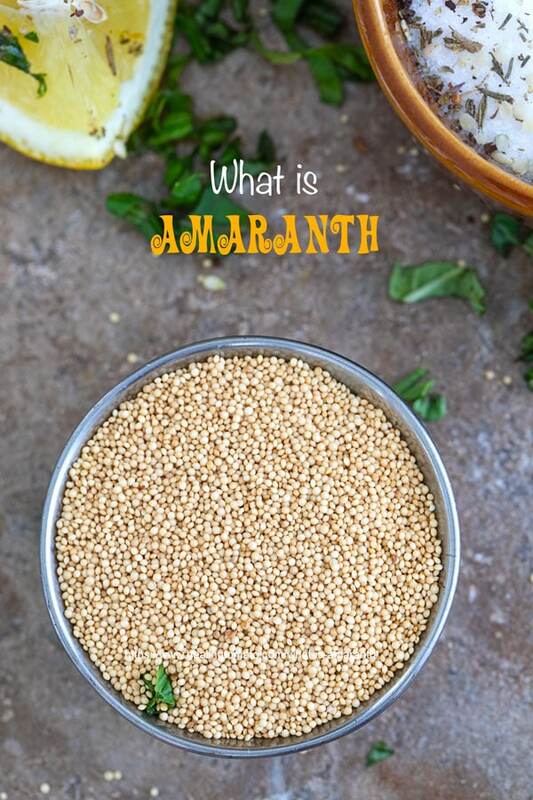 Amaranth has found its way in Indian cooking and is more commonly known as “Ramdana” which translates to “God’s Grain”. 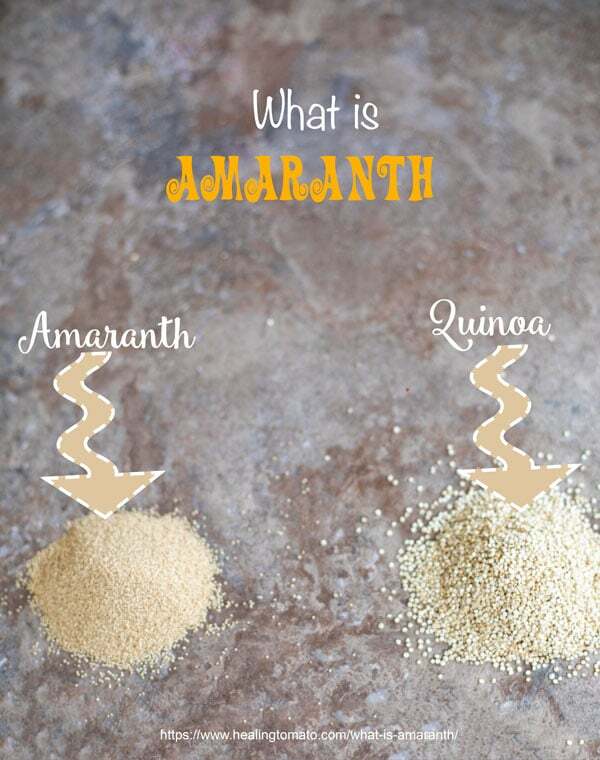 Where Is Amaranth in the Grocery Store? How Long Do Amaranth Last? – Amaranth is the group name of about 60 different amaranthus plants – Source: Whole Grain Council. – The Aztec didn’t just use it for food. They used it in their rituals and also for medicinal purposes. This grain has so much nutrition, so, its understandable that they thought it has healing powers. – When the Spanish Conquistadors took over, they burned most of the plants. They considered the plants to be “evil”. Anyone caught with it was punished heavily. Can you imagine living in a world where owning a grain could cause you to loose your life? – The grain almost went into extinction, but, you just can’t keep a good grain down! It found its way into Mexico and Central America where it flourishes today. – Its considered a “Psuedo-grain” and not a true cereal grain. True cereals grow from the Poaceae family of plants. Pseudo-grains grow from other plants. To me, it makes no difference! Psuedo or true, I will devour it. The grain, if the store carries it, will be in the flour section or the “lentil” section. I have to admit that I have found it hard to get this grain in my local grocery store. – I think there are very few Publix that carry it. The good news is that you can always ask the store manager to stock the shelves with it. – Walmart has it in only some of their stores. They are also very happy to carry it in their stores, if you ask them. – I haven’t seen it in any Target stores, but, I did ask the manager if they would be kind enough to carry it in their stores. They said they would try their best to carry it, so, you might get lucky and see it in your local Target soon. If all else fails, there is always the Cyber Aisle! I feel so lucky to be living in the cyber age where I can order almost any ingredient online. This 8000 year old grain is so easy to order online! – Vitacoast – Vitacoast is my go-to place for anything vegan or vegetarian that is hard to find elsewhere. They also have a huge collection of Amaranth for you to choose. This link is from search results for all their Amaranth products. – Directly from Bob’s Red Mill – I haven’t purchased anything directly from Bob’s Red Mill, so, I can’t vouch for their ordering process. But, they carry Amaranth and other grains online. 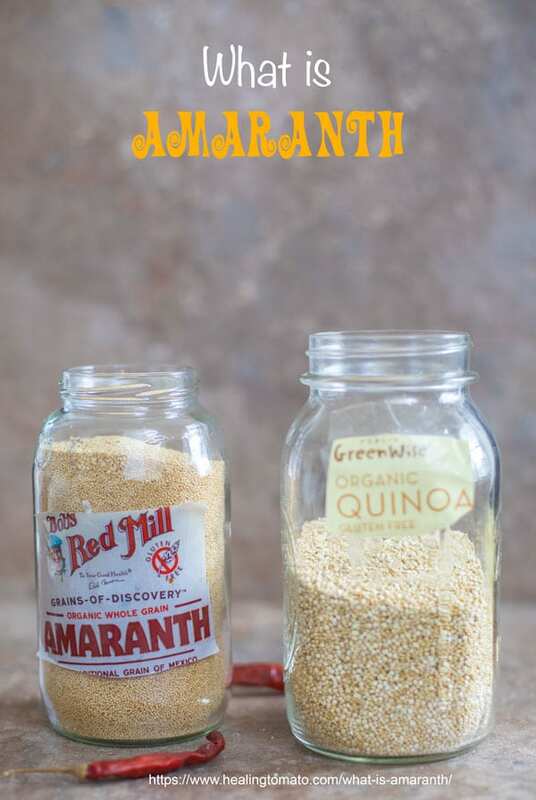 – Remove the Amaranth from their packaging and transfer to a glass bottle. Amaranth are “immortal”, so, they can last for a very very long time. My personal preference is to use them within 6 months of opening the packet. Amaranth don’t go bad, but, I live in Florida where I see flour bugs (weevils) quite often. So, I like to use all dry ingredients as soon as I can. 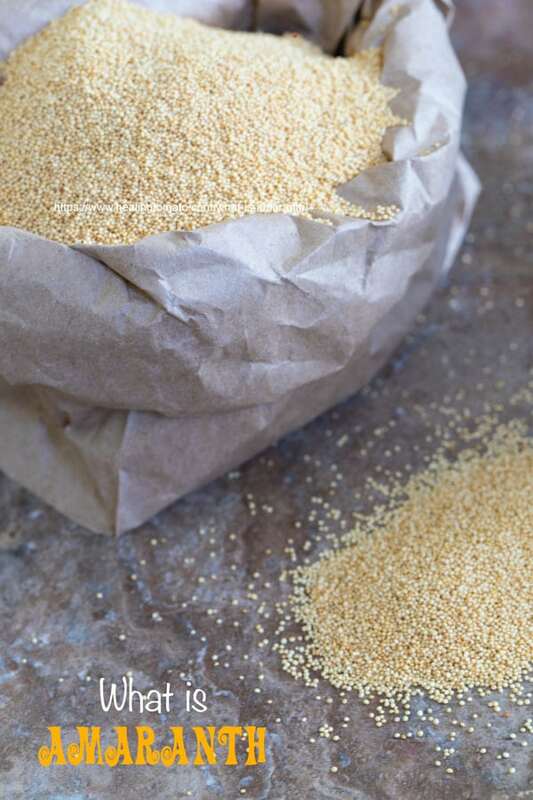 Amaranth is good in so many recipes, so, a one pound bag can be consumed in less than a month. Amaranth is known as a superfood for good reasons. 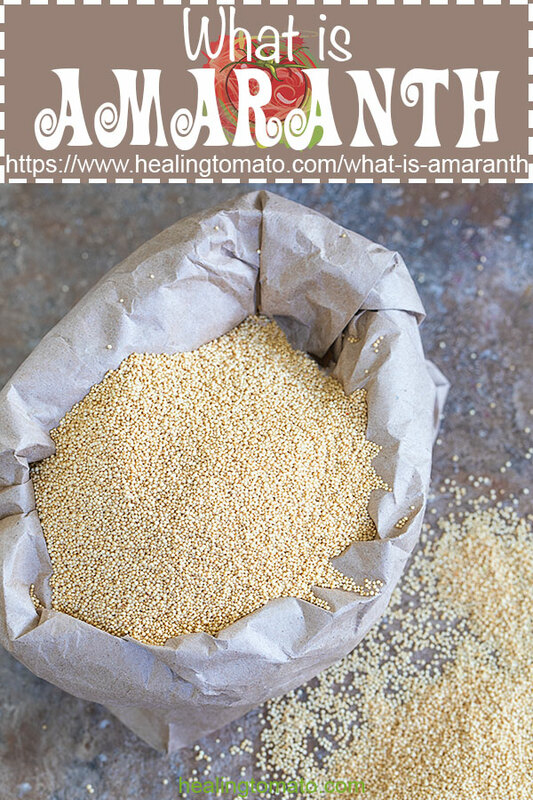 Cook one cup of Amaranth and you get so much nutrition from it! As a vegan/vegetarian, those numbers make me do cartwheels! I find that Amaranth also gives me so much more energy because I don’t feel sluggish after eating a salad. I also find that it helps my digestion process. So, I see so many benefits of it. Ancient grains are grains that haven’t changed in thousands of years. They existed in the early days of man (or possibly before that) and continue to thrive in our century. Some of these ancient grains are processed and have gone through selective breeding in their long history. But, they remain part of the ancient grain collective. They are also referred to as heritage grains. 1. Amaranth – I have an AMAZING recipe coming soon. 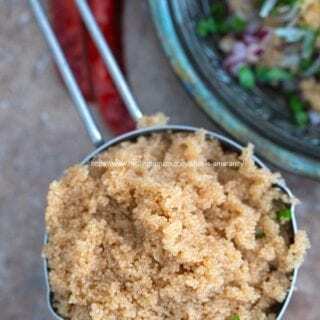 Its the best Amaranth recipe you have ever seen! 2. Buckwheat – I am working on a dessert recipe using buckwheat and will post it soon. 3. Chia – Having chia seeds on this list makes me really happy. Have you tried my Mandarin Oranges or Peanut Satay sauce? I put chia seeds in them and they made the recipe taste incredible! 4. Millet – No plans for a recipe just yet, but, I am working on it. 6. Sorghum – I haven’t had much opportunity to work with this grain, but, I hope to learn more about it soon. I would love to make some vegan waffles out of them. 7. Farro – I discovered farro about 6 years ago at a hole-in-the-wall restaurant in Queens. I have to say that I loved how delicious it tasted and try to eat is often. You have to try my Farro salad which is beyond delicious. 8. 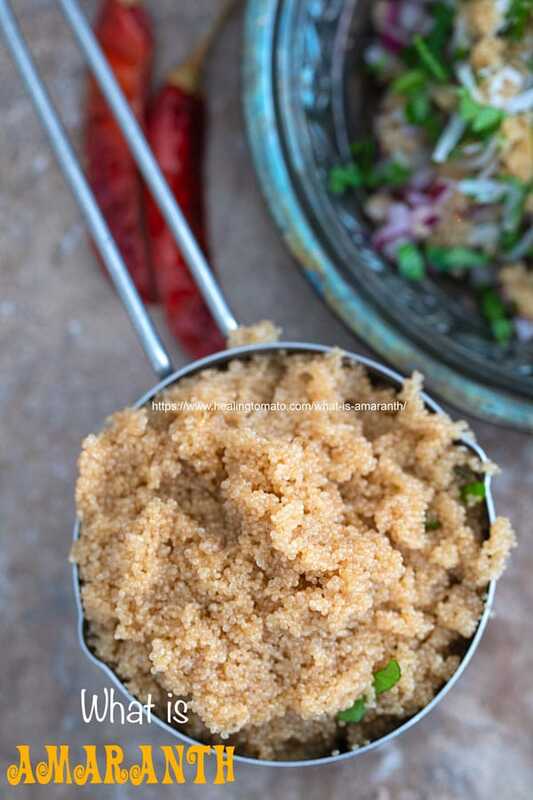 Teff – Of all the grains on this list, Teff is the one that has given me the biggest challenge. I haven’t been able to get a good recipe out of it, but, I love the challenge that it gives me. I would love to make vegan bread out of it some day. Teff is not easy to find in stores, but you can easily find it on (affiliate link) Amazon. There are more ancient grains like rice, spelt, millet and others. The Ancient Grain council has the complete list of grains it considers ancient. Both grains look so much alike and they are easy to confuse. The have the same color, shape and texture! The main visual difference, however, is that quinoa is slightly larger and a little lighter in color. Even with the clear visual difference it is easy to mix those two up. I label them with the brand and type of grain. I am sure I could have put fancy labels or even printables with the name of grains written in calligraphy. But, where is the fun in that, right? The difference in nutrition of these two grains is much more significant. 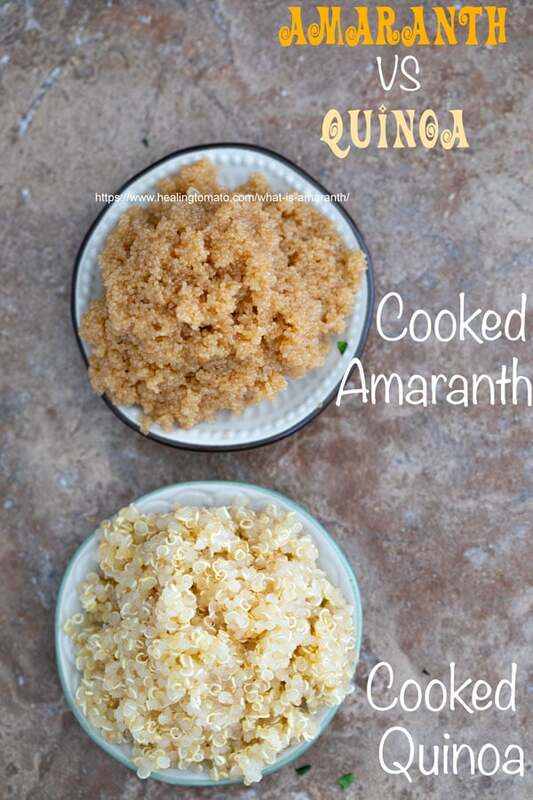 Quinoa has 8g of protein and amaranth has 9g. I will take that extra gram of protein any day. 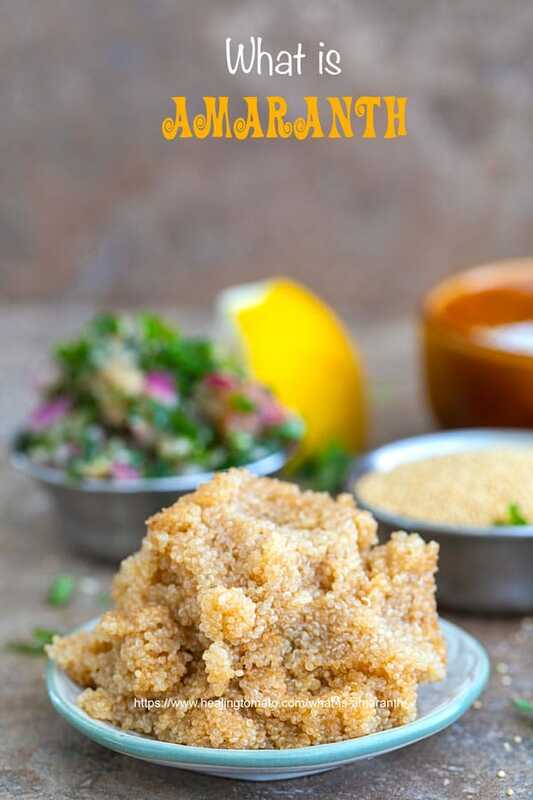 – Amaranth has slightly more calories than quinoa. Amaranth has 251cal and quinoa has 222cal. That’s not a huge difference, unless you are counting calories. – Amaranth has more carbs than quinoa. Quinoa wins this round because it has only 40g of carbs where as the other grain has 46g. The biggest difference is when you cook them. At that point, there is no confusion as to which one is quinoa and which one is amaranth. 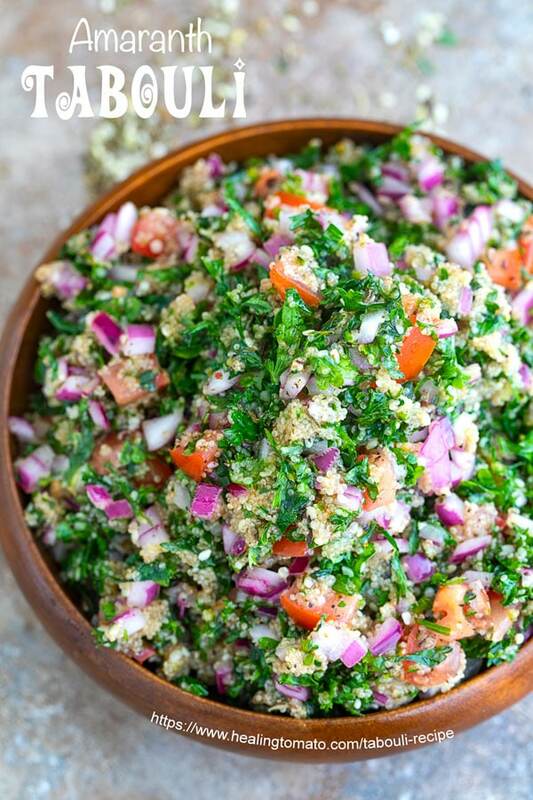 – You HAVE to try my Amaranth Tabouli recipe! Remove from heat and use in recipe. Its normal for the cooked amaranth to be sticky and clumpy. You can crumble it in the recipe you put it into. Its normal for the cooked amaranth to be sticky and slightly clumpy. You can crumble it in the recipe you put it into. Teff makes a wonderful porridge with chopped walnuts, dates and honey. Add cloves to it! Thanks for the post, it’s so useful. I bought a pack of puffed amaranth and not sure what to do with it? I was gonna top my oatmeal porridge and smoothie bowls with bits of puffed amaranth if that would work? Thank you, Diana. Puffed amaranth are made for porridge and smoothie bowls. Definitely put them in it. Try them in soups or cookies tood. They will taste amazing in an oatmeal raisins type of cookie recipe.